The D-402 uses UcD technology, one of the finest types of class-D at this moment. 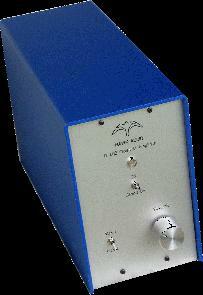 Now there's also a "HG" type (High Grade) available delivering a more refined sound quality. It's available as a kit for music loving d.i.y. amateurs. The color of the cabinet (standard in blue) can be sprayed in any color.